Walks: for a route along the ridge, taking in Binn Chaonaigh and Binn idir an dá Log , see Kevin Corcoran, West of Ireland Walks, 81-92. Binn Chaonaigh is the 230th highest place in Ireland. 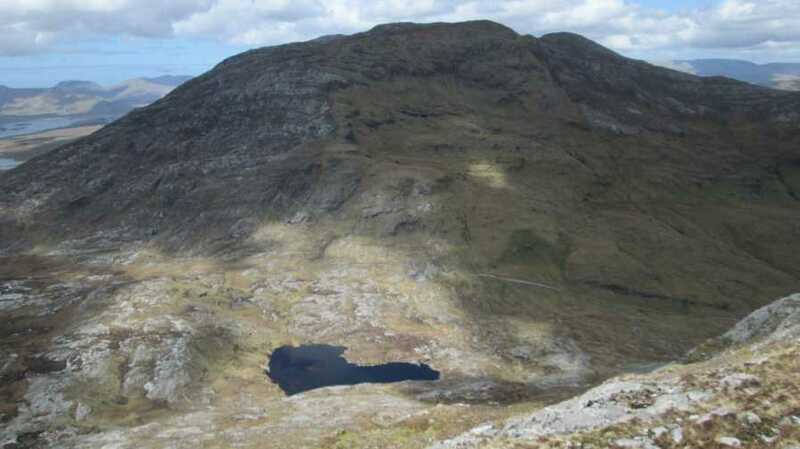 Picture from David-Guenot : Binn Chaonaigh from the SE, with Mam Ean below. Picture: Binn Chaonaigh from the SE, with Mam Ean below. Some steep ascent indeed ! !